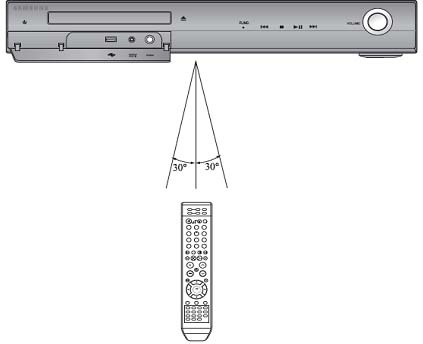 How to set the Remote Control for Home Cinema System (HT-TZ325)? 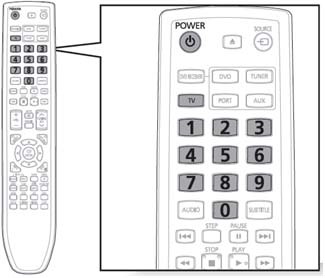 Example for a Samsung TV: While holding down the POWER button, use the number buttons to enter 00, 15, 16, 17 or 40. The remote control can be used up to approximately 23 feet (7 meters) in a straight line. It can also be operated at a horizontal angle of up to 30° from the remote control sensor. How to set up DRC (Dynamic Range Compression) on Home Cinema System (HT-TZ325)? Troubleshooting Guide for Samsung Home Cinema System (HT-TZ325)? How to set up ASC (Auto Sound Calibration) function on Home Cinema System (HT-TZ325)?